(Host) Vermonters never tire of maple syrup. And with such a warm winter, many sugarmakers in Vermont are following their instincts and beginning to produce their product ahead of schedule. VPR’s Jane Lindholm brings us the stories of two local sugarmakers. (Lindholm) It’s a tell-tale signal: smoke curling above the maples from a shack perched at the edge of the woods. Sugaring season in Vermont. This year the boilers were working overtime much sooner than normal. The mild winter led into an early-warming cycle, with days into the forties and nights below freezing, perfect conditions for the sap to run. At Vermont Trade Winds Farm in Shoreham, Tim Hescock puts in about 2200 taps. He says it was obvious that it was a good idea to tap early this year. (Hescock) "I think this winter it was just so crazy that it was a little bit of instinct to just do it. This is the year to do it because it’s been warm since January. Very simple decision at some point to finally say, ‘OK, might as well start doing it.’"
(Lindholm) Not only did the taps go in early. At Vermont Trade Winds, the Hescocks were boiling sap by mid-month, 19 days earlier than last year. They’ve boiled four times and have already made about 15 percent of what they made last year. (Hescock) "It could be a shorter season, for sure, because there’s no snow to insulate things. If it starts to get near 50 a bunch of days with no snow, I think the trees will start to get started. As long as it stays 45 and then 25, it’ll keep going to the same time it did last year, which was April 11th." (Lindholm) You might think a sugarmaker would get sick of maple syrup, but not in the Hescock household. Tim’s wife Loraine. (Loraine Hescock) "Oh, the fancy looks beautiful! It’s so golden and light. But I still prefer the dark. I like dark amber. We use ours in marinades and my mother-in-law has a great recipe for baked beans. So she uses grade B syrup and it’s awesome. (Hale Hescock) "I like maple syrup. It’s really tasty. It’s good on waffles and stuff like that." (Lindholm) Nine-year-old Hale was hanging around the sugarhouse, too. (Hale Hescock) "I like watching my dad boil because I like the smell. I usually help load the wood." (Lindholm) On the day I visited, last Friday, the temperature was about 34 degrees and the sap wasn’t running, giving the Hescocks a little bit of a reprieve. Up the road in Cornwall, sugarmaker Kenn Hastings was using the downtime to swap out some old boiling pans. (Hastings) "I could have done it yesterday. I was busy working in the woods and I knew I could put this off." (Lindholm) With a little bit of help from his friend Steve Giard, Hastings was hoping to get the new pan in before friends came over for an evening of boiling and swapping stories. 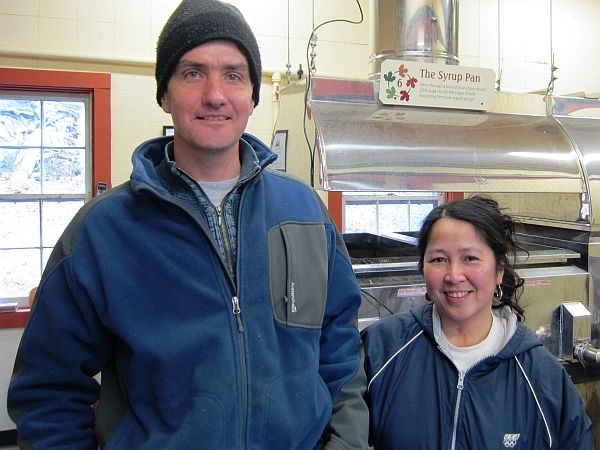 (Hastings) "Probably that’s a mainstay of maple sugaring is the social aspect of it. Like Steve and I will tell stories here that we don’t tell any other time of the year, and you don’t ever get sick of them." (Giard) "Like when we got started!" (Hastings) "Yeah! When we first started! I guess we actually talk about that quite a bit. So maybe that’s where we go back to the most. Most of it’s because you’re young and you’re looking for something to take up some of your time, I guess." (Lindholm) Hastings got started after getting out of dairying. He’d just happened to have sold all of his cattle in March, and needed something to do. He started with $500 and bought a backyard operation from an older neighbor who couldn’t do it anymore. 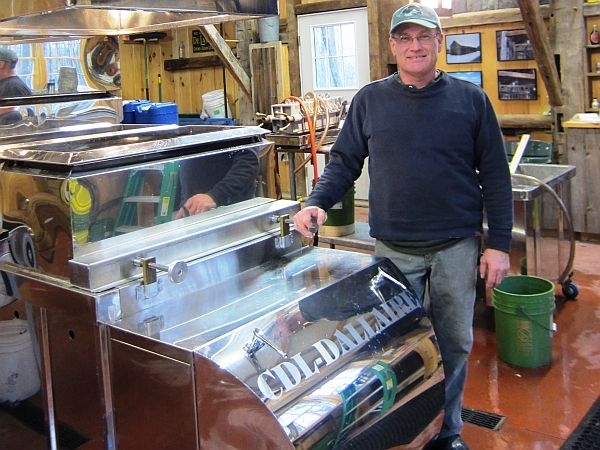 Now he runs the sugaring operation at Breadloaf View Farm, making about 500-800 gallons of syrup a year from 1500 taps. As hail began to fall on the sugarhouse roof, Hastings paused for just a moment before moving on to the next task. (Hastings) "I call sugaring a disease; I think a lot of people do. You got it or you don’t. (Lindholm) "And you got it." (Hastings) Oh, I definitely got it. I thought I cured myself once. I got out of sugaring for all of 30 minutes. There’s nothing like maple syrup. You grow up with it and you want to stick with it." We all know the highest grade of maple syrup is called "Vermont Fancy." But that’s not what other states and Canadian provinces call their top quality syrup. That’s why, for the first time, a standardized set of grades is being proposed for producers everywhere. 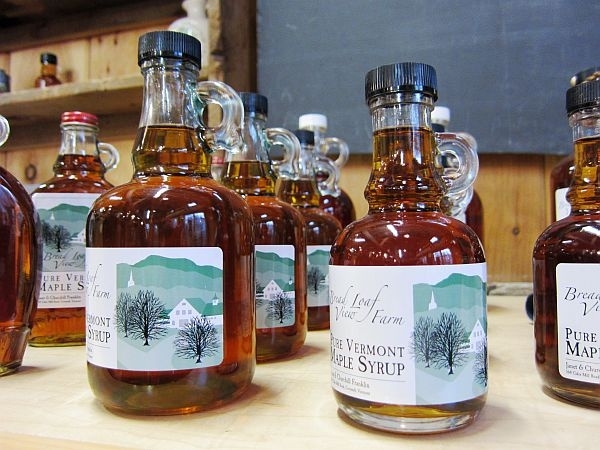 Vermont is considering joining with other syrup-producing states and Canadian provinces in adopting a standard grading system for maple syrup.